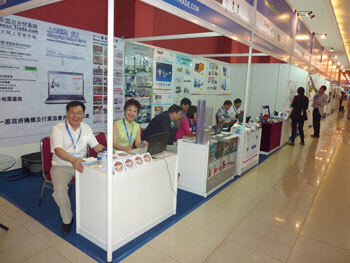 The booth for “China - ASEAN Free Trade.Com" and scene of "Chinese Suppliers" CDs distributing. 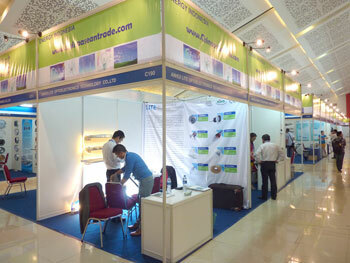 The delegation members are setting the display. 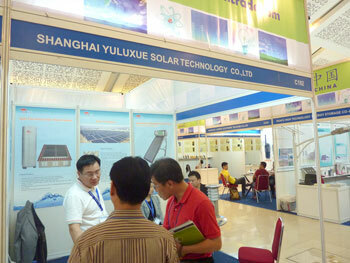 Shanghai Yuluxue solar energy, who joined the delegation to attend the meeting twelfth time, developed from a 6000 square meters workshop into a factory of 26000 square meters, and its products also meet ASEAN needs with a number of solar energy products besides water heater. 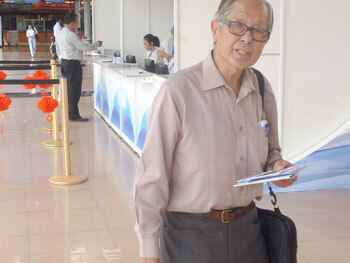 Open Mr Zhu’s notebook, there are names of another 16 buyers and agents written on it. 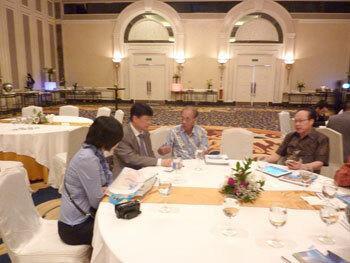 Mr Zhu is discussing with the Indonesian Chinese businessmen on cooperation and agency. 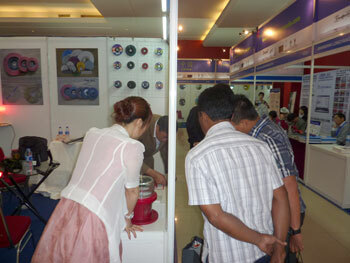 Water heater produced by other countries entered Indonesia’s market 10 years ago. 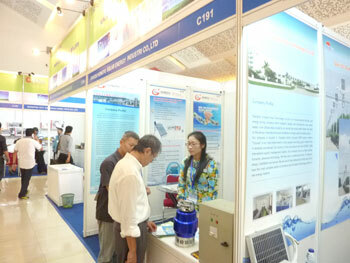 In addition to solar water heaters, this time they brings solar power lighting and the new product kitchen garbage crusher. They are all sold out. 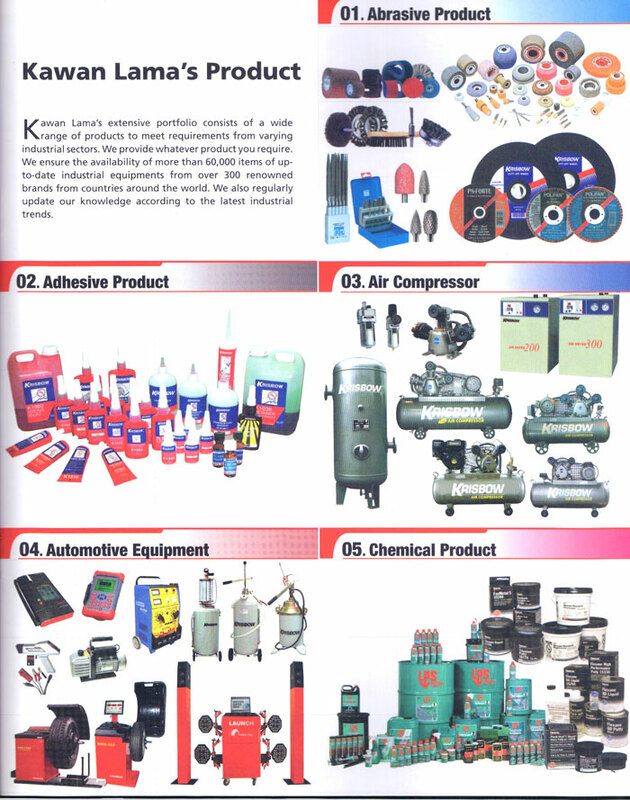 These products are very few in China, but they sell very well in Indonesia, which shows Indonesia’s strong purchasing power. 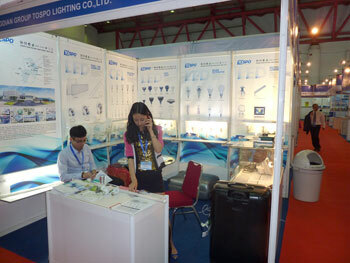 The efficient lights produced by Anhui Lite Photoelectric Energy attract many buyers and agents. 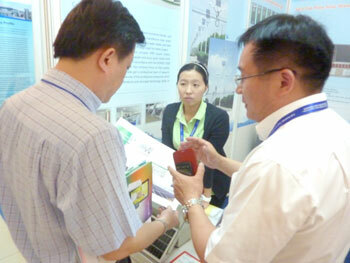 Mr Luo, the general manager of Shanghai Boqin, is discussing with buyers on the general agent matter. Indonesia has professional markets for navigation lights and fishing lamp, because it is a nation of thousand islands, and a number of professional dealers want to agent for this product. 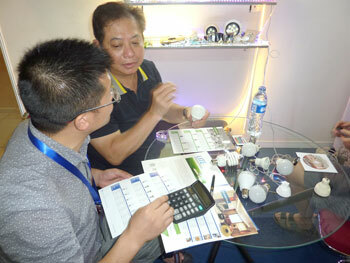 Mr Luo has carefully writen down the number and type according to buyers’ needs. 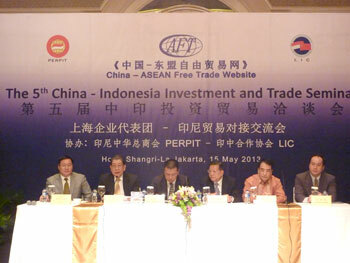 Indonesia’s industrial and commercial tycoons are asking that how to visit “China - ASEAN Free Trade.Com" to purchase. 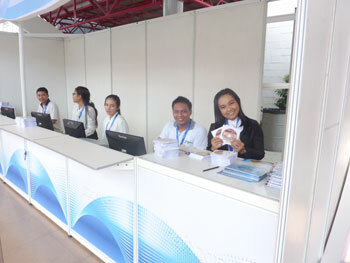 The “Chinese Suppliers” CDs are being distributed to buyers when the organizing commission members sign in. Buyers are looking at the “Chinese Suppliers” CD given to them when they are ready to take the entrance ticket. 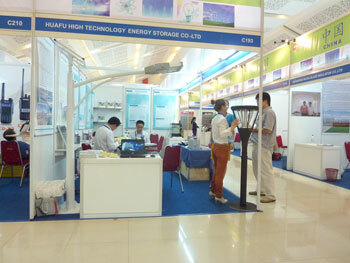 Buyers are entering the exhibition hall with the “Chinese Suppliers” CD in hands. 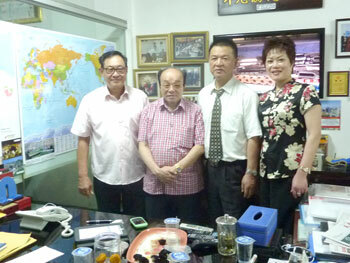 Invited to visit "Indonesian Small and Medium-sized enterprises Association", in order to promote "China - ASEAN Free Trade. 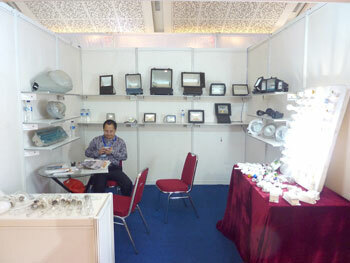 Com” to the general chamber and to encourage small and medium-sized enterprises in Indonesia to do business online with Chinese enterprises through "China - ASEAN Free Trade. 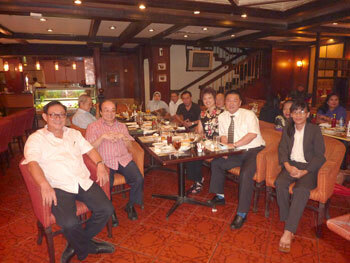 Com”, representatives of "China - ASEAN Free Trade. 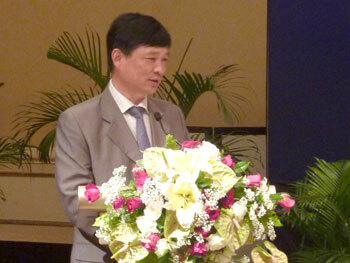 Com” meet with Mr Chen, President of the chamber and the secretary-general, Mr Lin. 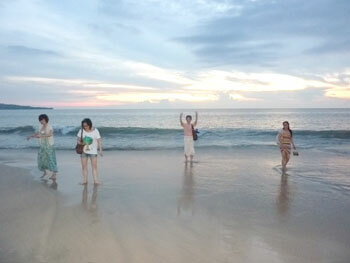 They take a photo together. 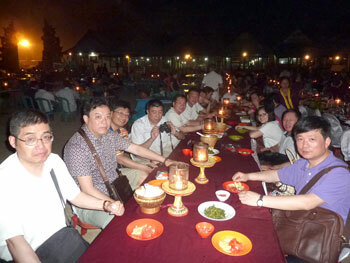 "Indonesian Small and Medium-sized Enterprises Association" hold a banquet for the Chinese delegation. 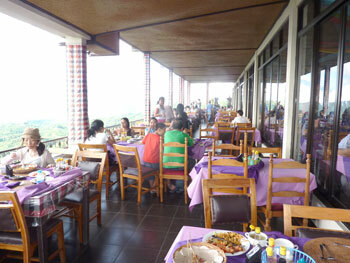 In the banquet, people are singing songs to celebrate. 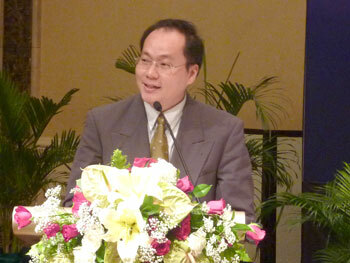 "China - ASEAN Free Trade. 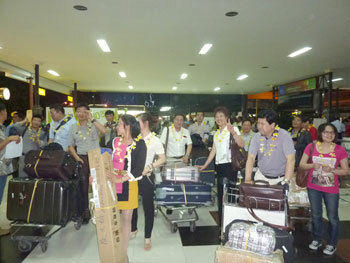 Com” Shanghai delegation took airplane to arrive at Bali Island. 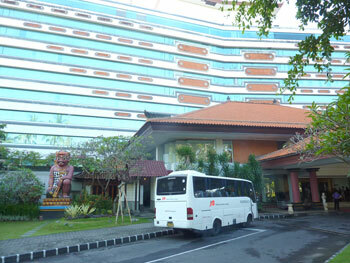 They are being delivered to the five star hotel by a big bus. 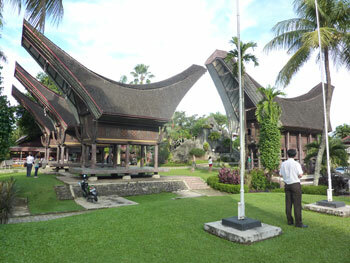 The houses where Indonesians live. Having a lot of horns on the facade means being rich. 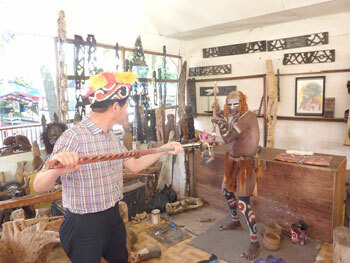 Mr Tao is confronting with an Indonesian aboriginal native. 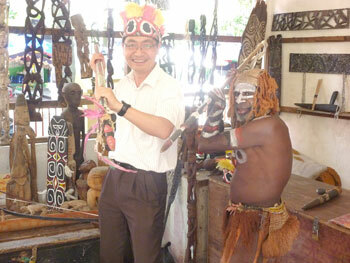 Mr Cao is giving friendly messages to an Indonesian aboriginal native and then they take a photo together. 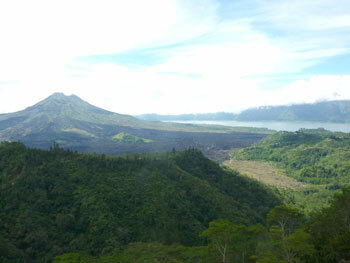 The delegation members are viewing the sceneries of volcano and river as they have dinner. 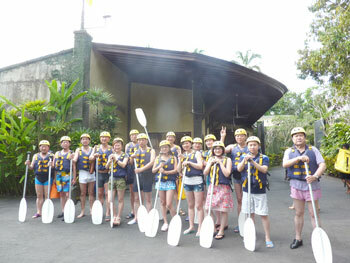 Put on the life vest, enjoy the world’s top river drifting. 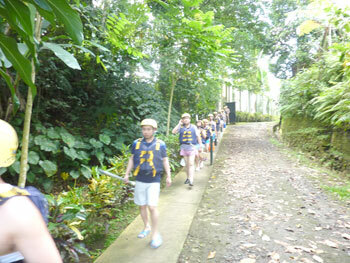 Advancing to the top of the mountain. 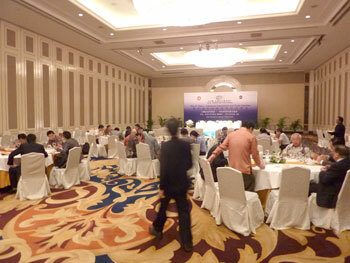 On May 15, 2013, the Fifth Indonesia-China Meeting for Trade and Investment Negotiation (Indonesia-China Joint Trade Meeting) organized by "China - ASEAN Free Trade.com" was held in the hall of the Shangri-La Hotel at Jakarta. 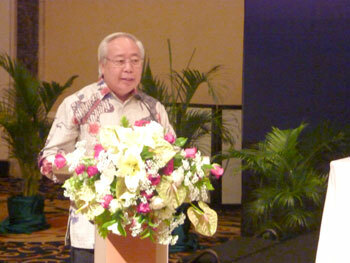 In the Fifth Indonesia-China Meeting for Trade and Investment Negotiation jointly held by "China - ASEAN Free Trade.com", Indonesian Chinese General Chamber of Commerce, Indian Indonesia-China Economic Social and Cultural Cooperation Association and Indonesia-China Business Council, Mr Xu gave a speech and introduced the members of the delegation and 7 kinds of product and project for Indonesia to purchase. 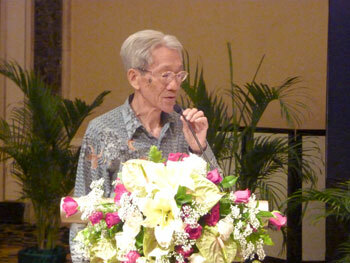 The leaders of Indonesian Chamber of Commerce used the data to analyze Indonesia’s solar energy, lighting application and development, the current total volumn of food industry, Indonesia’s demand on food processing, packaging machinery and rubber machinery, and also how the infrastructure facilities invested with 20 billion stimulate China’s engineering and mining machinery industry with the fact that China is the second largest country for Indonesia to import electrical and mechanical hardware from. 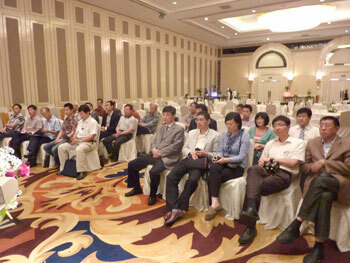 The delegation learned a lot from the analysis. Mr Zhang, the general manager of Shanghai Xiong Hou , is introducing the mining machine and food machine produced by their company. 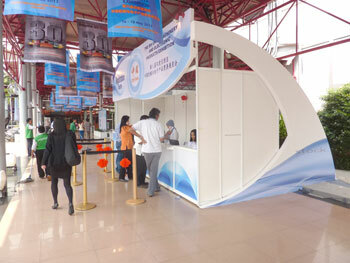 Persons from the Indonesia-China Industrial and Commercial Community get to know each other through individual self-introduction so that they can one to one contact with each other. 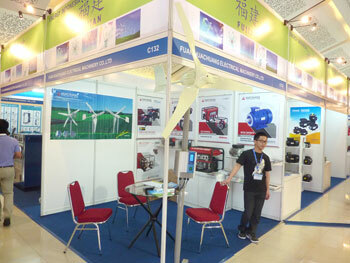 The Indonesia delegation introduced 2 companies. One specializes in mining machinery and concrete mixing equipment and the other specializes in airport lighting and equipment. 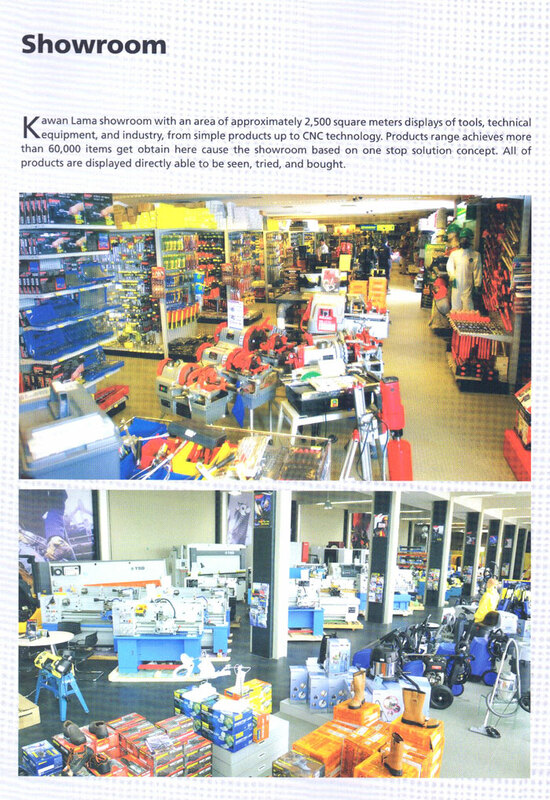 Last year, they cooperated with Shanghai Huajian on concrete mixing equipment, and today they would like to cooperate with China on mining machinery and navigation light. 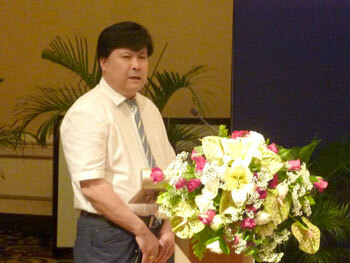 Mr Luo, the general manager of Shanghai Boqin, is introducing the navigation light produced by their company. Mr Zhang, the general manager of Shanghai Rhodes Kemp, who joined the delegation to attend the meeting second time, is introducing the double screw compressor utilizing German technology. The Indonesia delegation member is introducing its 30 years of aviation equipment manufacturing and therefore they have a great demand of compressors. 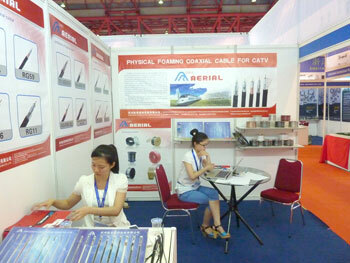 They wish to cooperate with Shanghai. enterprises. 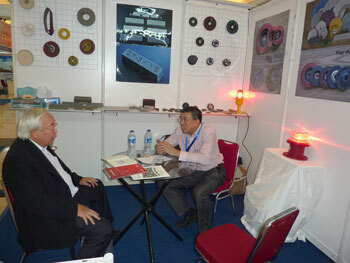 Mr Tao, the general manager of Shanghai Xinluo, is introducing the fasteners and standard parts produced by them The Indonesia big buyer is introducing the national twenty large chain shopping malls. 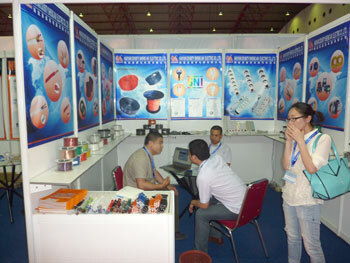 There have been 17 Shanghai companies supplying them and he hopes that he will gain some opportunities to meet more Chinese suppliers today. 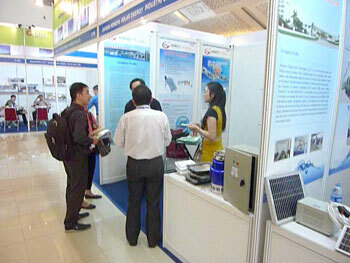 Mr Xu, the general manager of Jiangsu Hongyu, who joined the delegation to attend the meeting the third time, is introducing their solar water heater, power components and lighting. 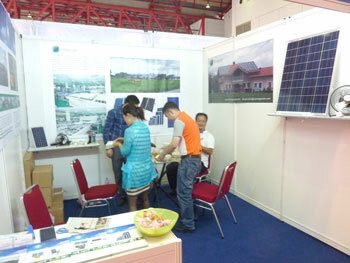 The leaders of Indonesia power sector hope to cooperate with China on solar energy and lighting. 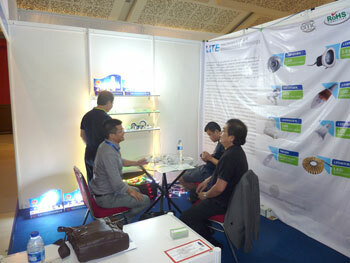 Persons from Indonesia enterprises and Chinese enterprises are talking and negotiating one to one. 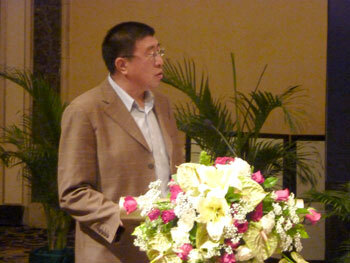 Mr Zhang, the general manager of Shanghai Xionghou, is discussing with food manufacturers on cooperation issue. 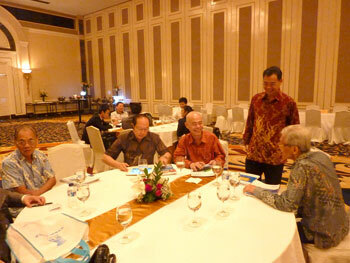 Indonesian business tycoons are sitting together, introducing what they have gained from this meeting. 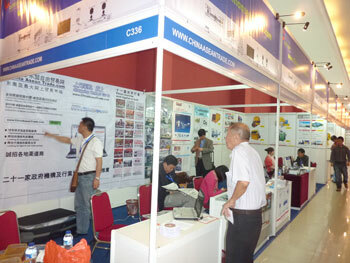 Big buyers introduction and reports on this event by Indonesia’s Sin Chew Daily and Indonesia Commercial News. 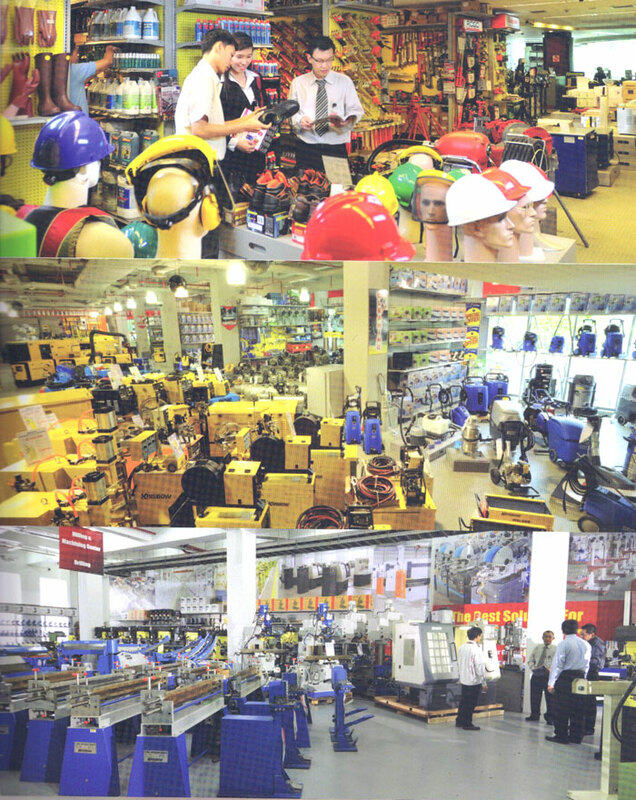 20 large chain shopping malls specializing in selling electromechanical equipment, hardware tools, appliances and furniture etc. 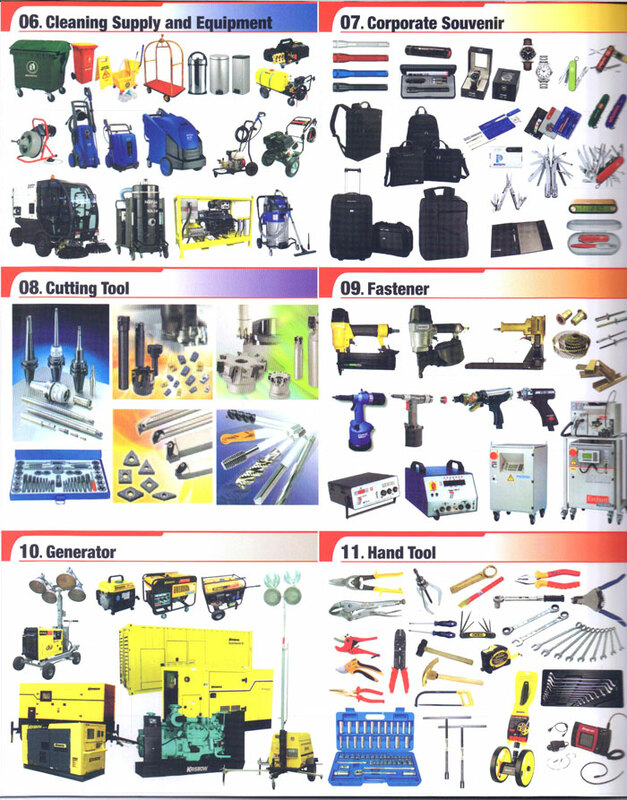 Big buyers: the Hardware Mall specialize in providing fasteners, saw blade grinding wheel, cutting tool measuring tool, metal products, daily hardware, architectural hardware, furniture hardware, storage hardware etc. 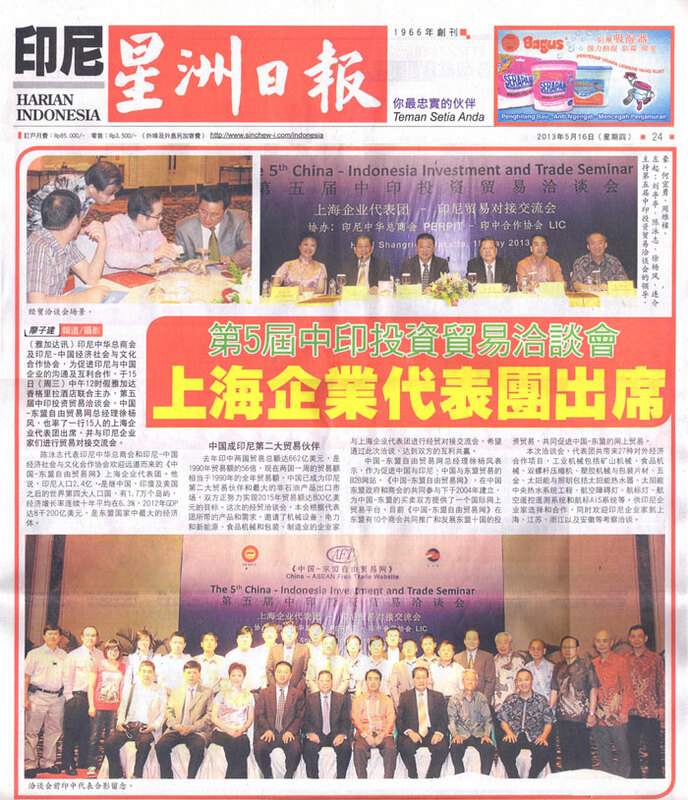 • Indonesia: "Business Daily" • Indonesia: "Sin Chew Daily"